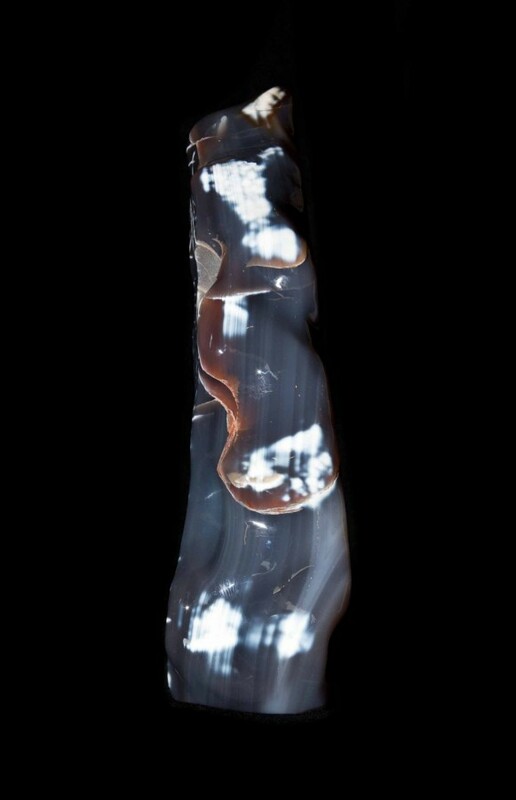 Agate is formed in cavities in volcanic rock by the deposition of bands of the mineral chalcedony. 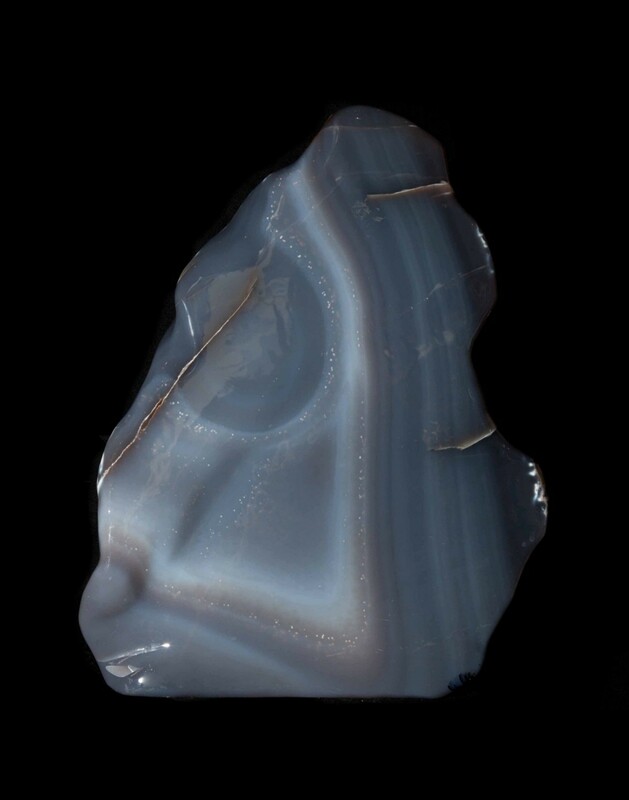 This large Brazilian agate has subtle blue-grey bands on one face, with dramatic white inclusions on the opposite face. 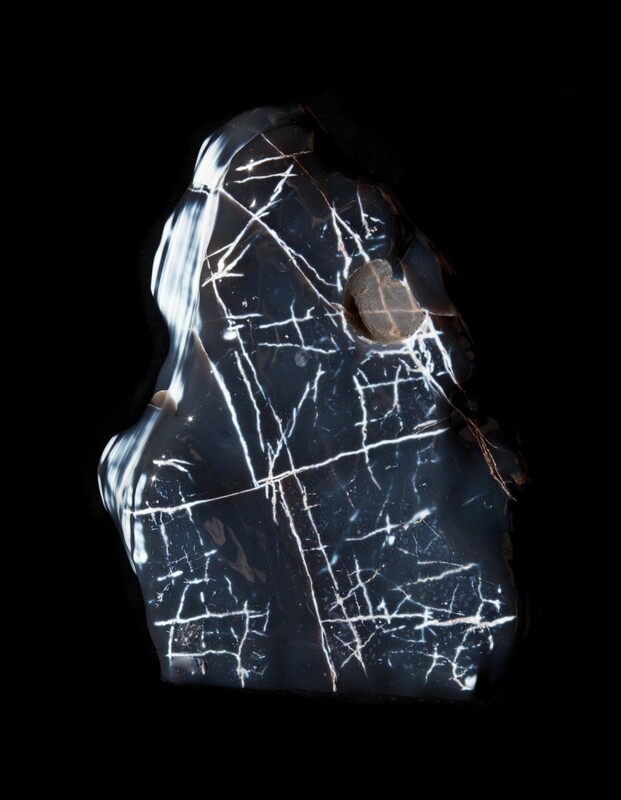 This mineral specimen is available to view at our Pimlico Road, London gallery.